In a sign of the changing times, the Democratic Congressional Campaign Committee is opening an office in Austin ahead of 2020. Dems are looking to flip six House seats next year. Read more about their efforts here. Surprise! Constitutional carry is dead. Wasn’t it always? Well, now it’s official. 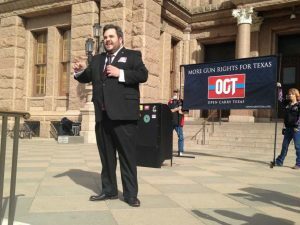 Rep. Jonathan Stickland officially pulled the hearing request for his constitutional carry bill last week after a gun rights activist showed up at lawmakers’ homes, saying that went too far. Read more here. 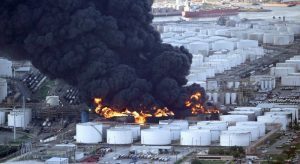 After multiple chemical fires in the Houston area, AG Ken Paxton has sued the companies responsible, which is rare. Also, TCEQ came under fire in House and Senate hearings late last week after lawmakers said they were too permissive with companies that violate pollution laws. Read more here and here. Did you know that Austin has its own baseball team? Well, sort of. 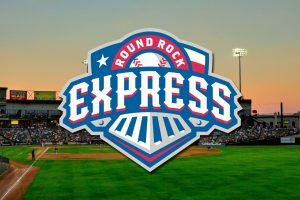 Minor league team the Round Rock Express celebrated its opening day yesterday, playing against the Nashville Sounds.